At Absolute Carpet Care, we provide carpet and flooring products for homeowners in Fairfax, Arlington, Leesburg, Sterling, Alexandria and throughout Northern Virginia. We have hundreds of different styles and colors from some of the largest carpet manufacturers in the world including Mohawk, Shaw, and Stanton to name a few. We have lower end carpets that can fit more economical needs such as rental properties or higher end carpets that come with 20 year No Mat/No Crush Guarantees made with Stainmaster Tactesse BCF fibers. Our high end carpets are incredibly durable and have a uniquely soft touch, because they are crafted with finer fibers and come in a large assortment of styles and colors to fit your individual needs. At Absolute Carpet Care, we make it easy, convenient and cost effective by providing a “Mobile Showroom.” We come to your home with our selection of samples. Our Mobile Showroom saves you money because we do not have the overhead of a large showroom with a sales force and we pass the savings on to you with extremely competitive pricing! With Absolute Carpet Care, you have the convenience of looking at the different colors and styles in the comfort of your own home placing samples next to your furniture, wall colors and other flooring to find the perfect choice for your home! So call us today for a free, no obligation estimate and ask about our carpet or flooring specials. 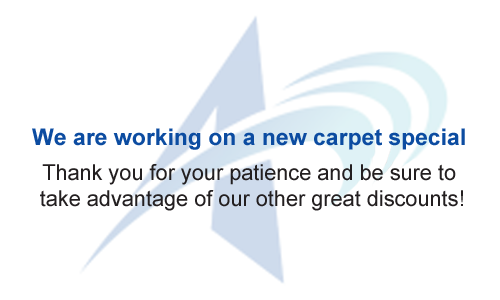 Or, if you’d prefer, fill out our contact form to send us a request and one of our carpet and flooring specialists will be back in touch with you shortly.